1. Evenly apply base color on the entire eyelids. 2. Apply gradation or point color on the tail of the eye or on the eye line. 3. 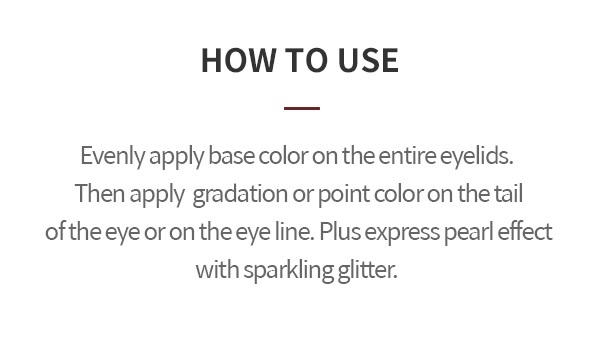 Express pearl effect with sparkling glitter. Although this pallet is a bit pricy, the colors in this palette are very pigmented. They have a creamy consistency and are easy to blend. This is my favorite pallet! like the colors in picture... but eye shadows does not blend well... powder flying around your face during application. drug store quality.